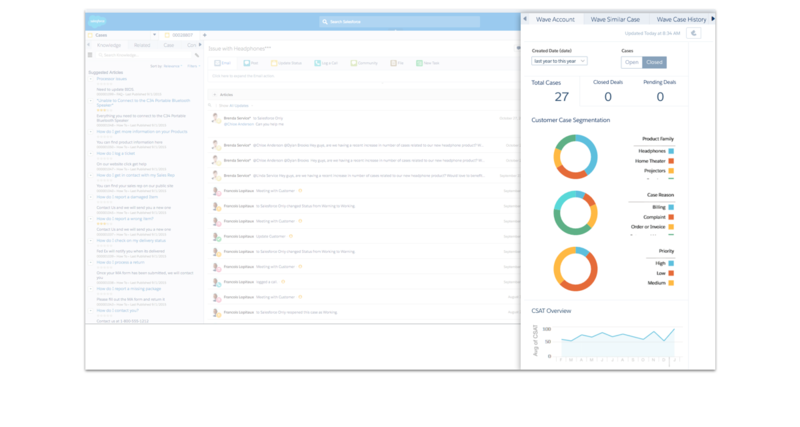 Get quick and easy access to historical interactions with your customers. 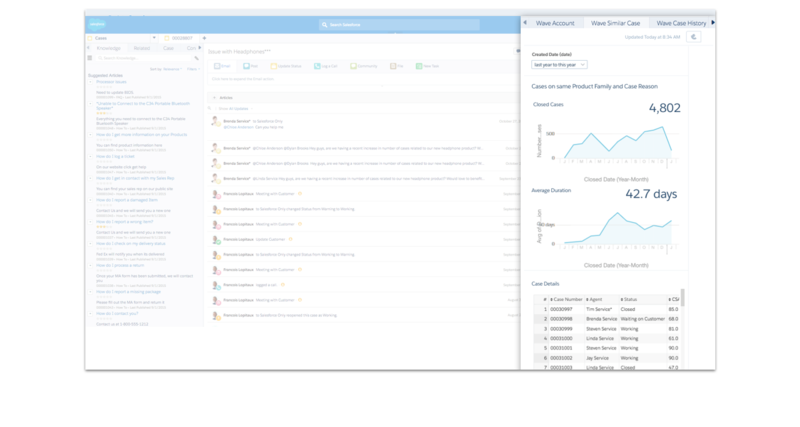 Get customer context, open cases, and previous problems in one glance. Find other similar cases to anticipate or solve potential product issues. Collaborate with other agents who have worked similar cases to improve customer satisfaction. Improve customer satisfaction with analytic insights. 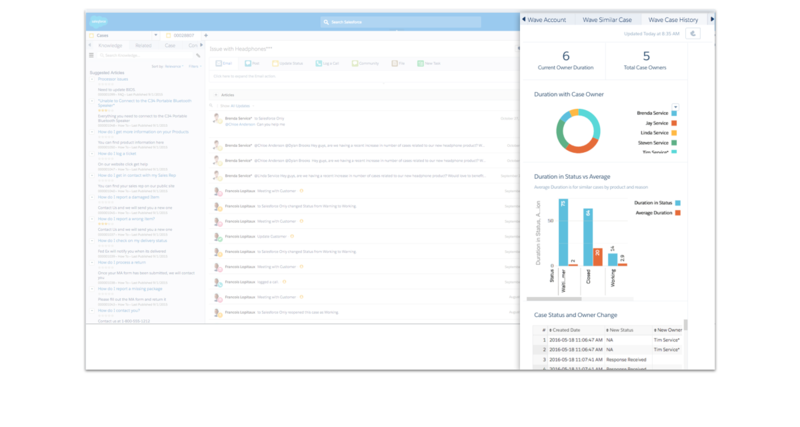 Get a snapshot of case interactions. Stay informed during customer conversations to deliver a better customer experience. 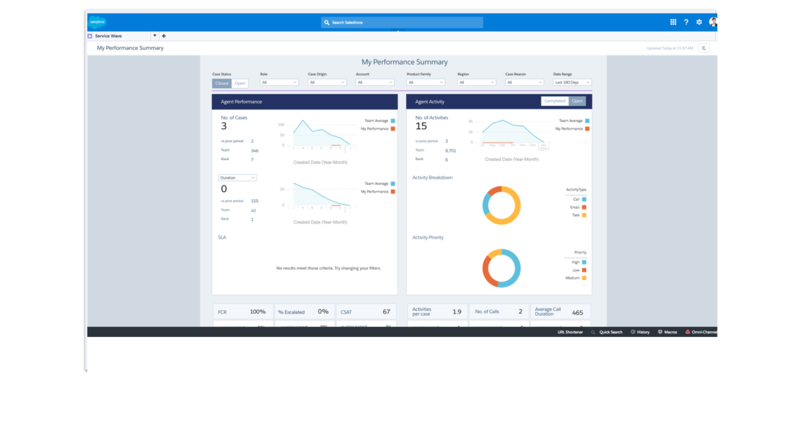 Monitor performance and productivity and get continuous visibility into ranking. Enable performance-based reviews along with merit-based incentives to drive an efficient call center.